If you're near Superior on Saturday, stop by the Superior Fly Angler's open house. Free food and beverages along with factory reps from Simms, Sage, Rio, Redington and Ross Reels. I will be there talking Raven Tackle and precision float fishing on the Brule River. 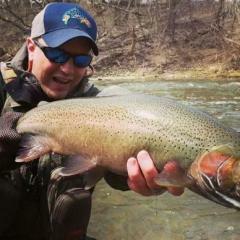 This should be a great source of information for anyone looking to get into steelhead fishing. Hope to see you there!